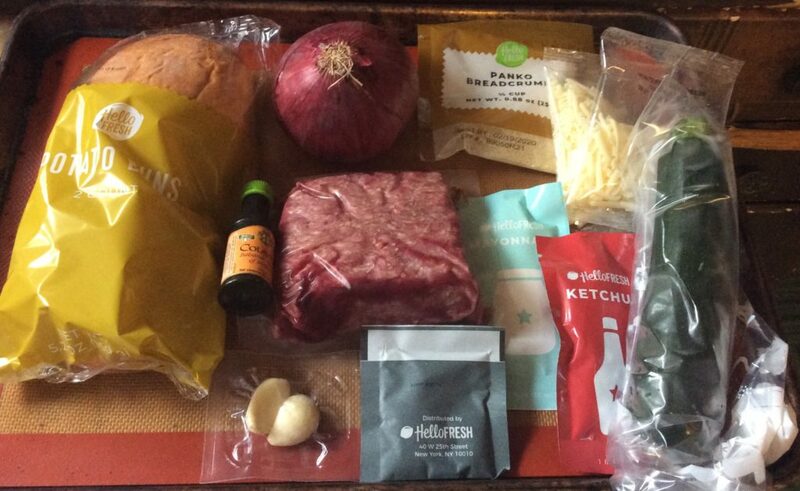 This meal kit for Sirloin and Horseradish Cream Sauce with Garlic Bread and Roasted Carrots may be the first HelloFresh kit that really failed to impress me. It was acceptable dinner fare, but very pedestrian. There were no new flavors here, no tricks, no recipes I’d care to copy and repeat. 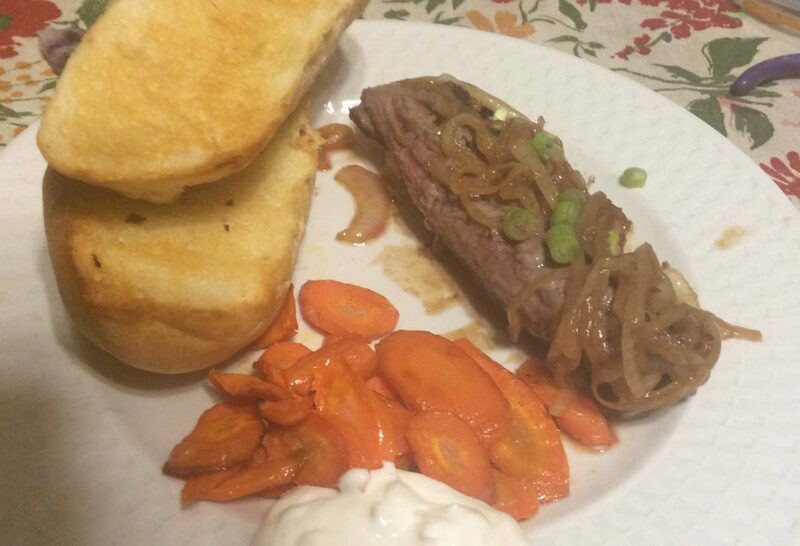 It was ultimately what it looks like: meat with carrots and garlic bread, with some onions and sour cream. I’ve had it all before (indeed, I had pretty much the same dish concept from EveryPlate – HelloFresh’ cheaper meal kit brand). 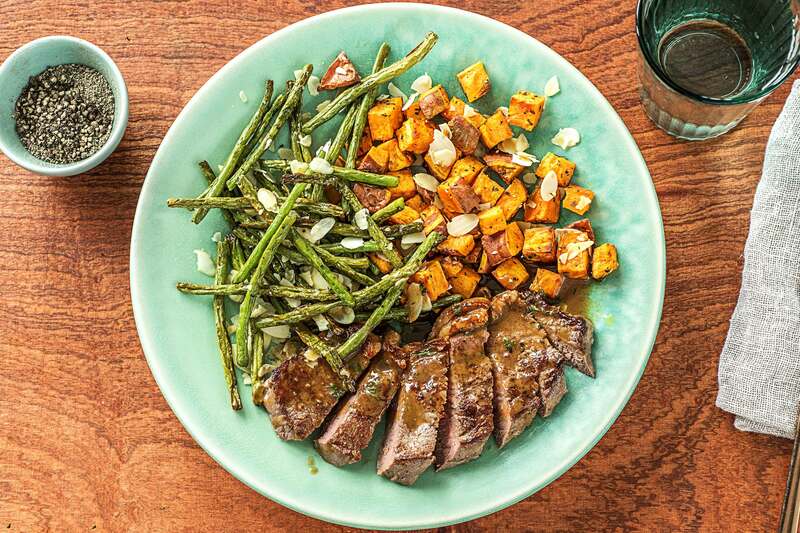 Moreover, it seems to me that HelloFresh is trying to cut corners and send out cheaper ingredients and ask cooks to include more and more staples of their own to the meals. The main ingredient of this meal was the sirloin and I was unimpressed with the quality. The meat was tough and wasn’t particularly flavorful. 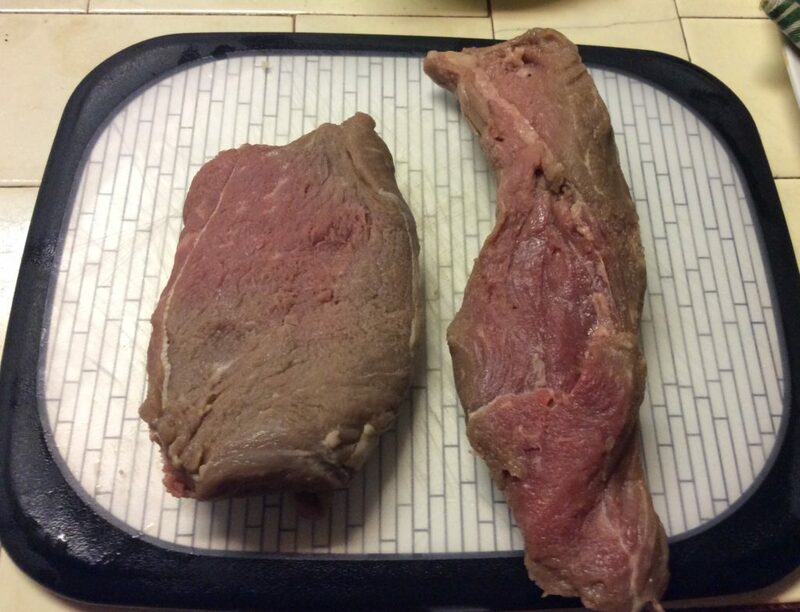 The two steaks sent had very different shapes from each other and, as you can see above, they were partly discolored, which took from their visual appeal (at least before cooking). The steak was stopped with sliced onions cooked with beef stock which were fine, but unremarkable. 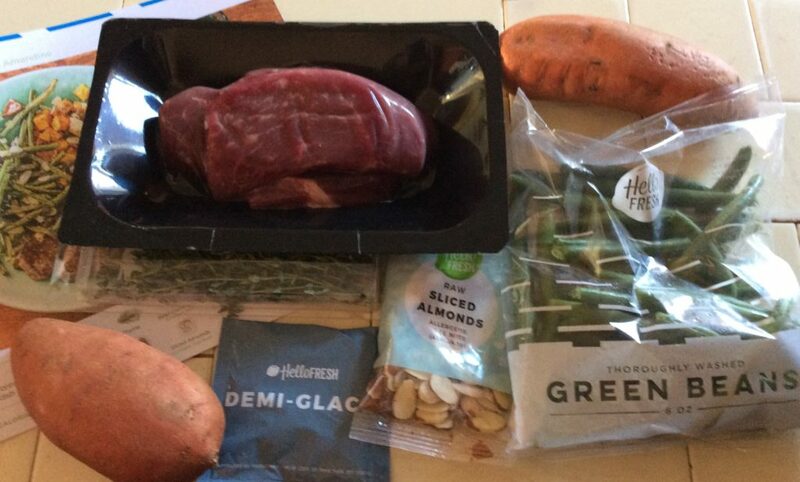 I wondered if HelloFresh was cutting corners by not including demi-glace instead of the stock concentrate. The accompanying horseradish sauce was also disappointing. It was basically sour cream with a few green onions and horseradish powder. I think it might have been better with some prepared horseradish. 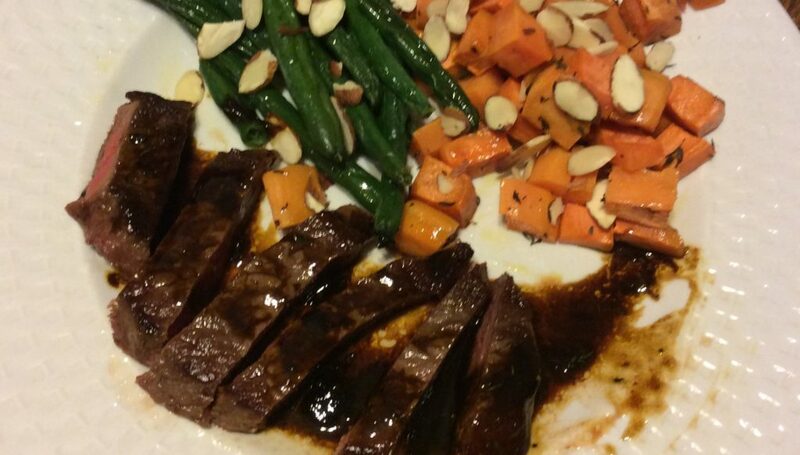 The carrots were just carrots – not my thing but my husband happily ate them just like he has every other time a kit has included carrots. Finally, the garlic bread included the same “semi-baguette” buns that were included in the EveryPlate meal I referenced above. Once again, I really liked the consistency of the buns. 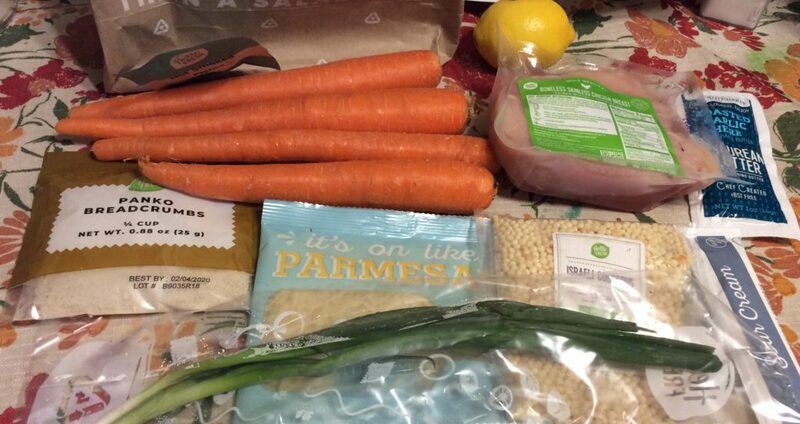 I didn’t like that I had to provide my own butter – I understand that from EveryPlate, but I expect more from HelloFresh -, and I specially didn’t like that the kit included garlic powder instead of fresh garlic. At the end of the day, however, I am likely to blame for choosing this kit. 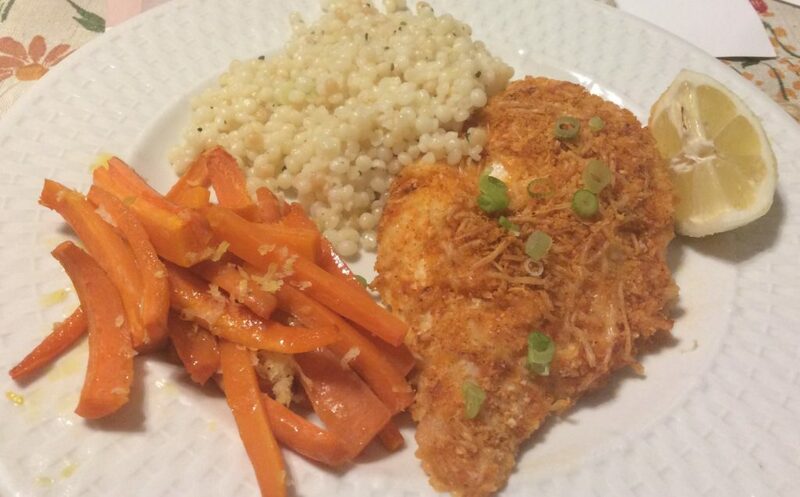 But I’ve noticed that I’m not particularly excited by many of HelloFresh’ kits – I’ll be suspending for several weeks now as I can’t find much in their upcoming menu I actually want to eat. 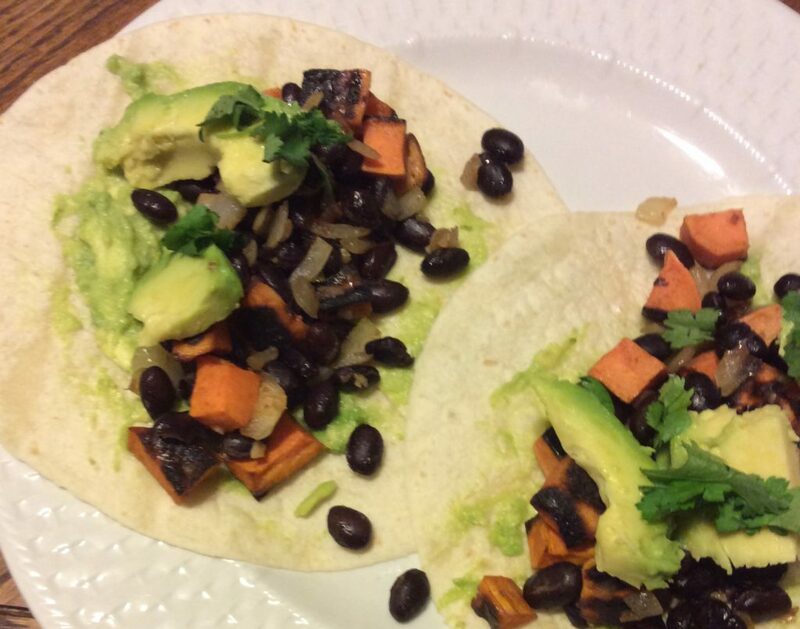 Update: I have 3 referrals for 1-week free of HelloFresh. E-mail me if you’d like one. 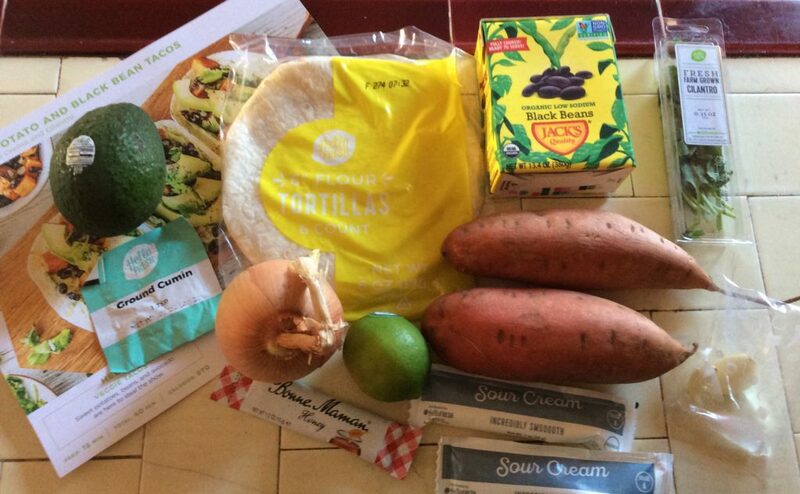 This week I went back to Hello Fresh, as I didn’t like the offerings of any of the services I hadn’t yet tried – and I was given a good deal ($20 off each of 4 boxes) for re-activating my account. I got just two meals (which frankly, works better for us, as I’m always rushing to cook all kits before they go bad) and tonight I made the first one for my daughter and I. It was pretty good. 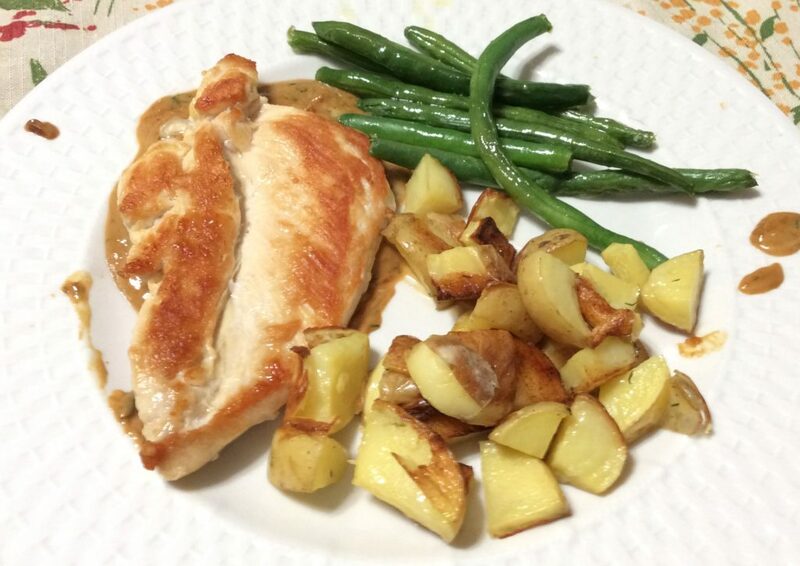 This meal of Creamy Dill Chicken with Roasted Potatoes and Green Beans was extremely simple: you cut and bake some potatoes, baked some green beans, sauteed some chicken and then made a quick sour cream-mustard-dill sauce. 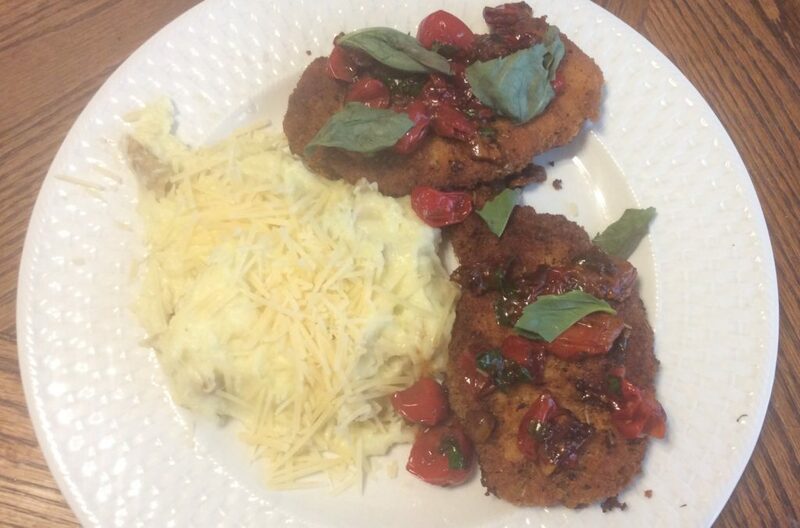 Still, it was a tasty and satisfying meal and I very much enjoyed the sauce (recipe below). 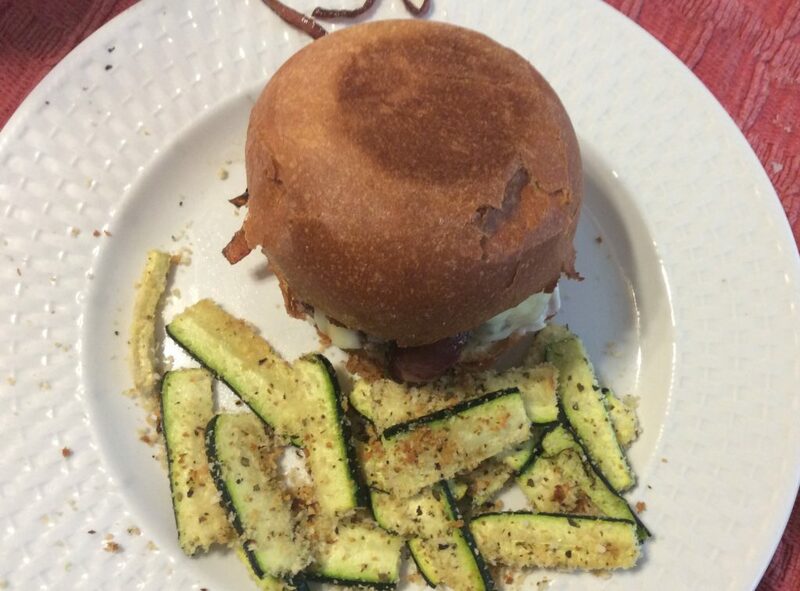 My daughter didn’t have any sauce, but she liked the other elements. There were some problems, however. The main one is that there wasn’t enough sauce. What they sent was barely enough for one serving (so it was fortunate my daughter didn’t want to try it). They need to double the ingredients for it. Secondly, the chicken breasts were too thin and they cooked in less than the 4-6 minutes per side that they recommended. Also, the portion size was a bit on the small size (or I was particularly hungry). 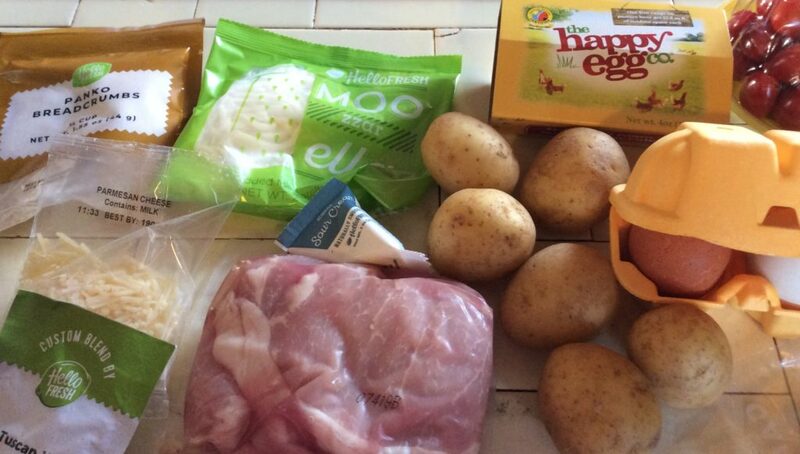 This is a very easy meal to put together on your own, however. I think I will add dill to the herbs I grow on my window to be able to easily make it again. Update: it’s spring and this kit now comes with asparagus instead of green beans. 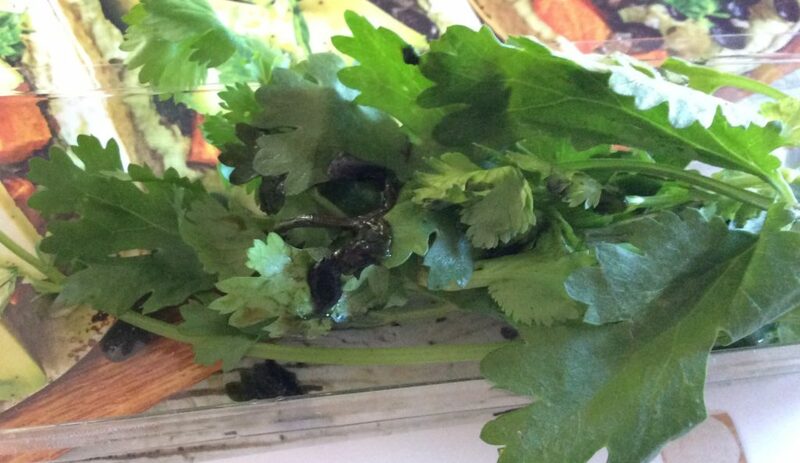 I ordered it again – forgetting I’d already had it – and served it to my husband this time. He loved the dill sauce. Once again, there wasn’t enough of it. 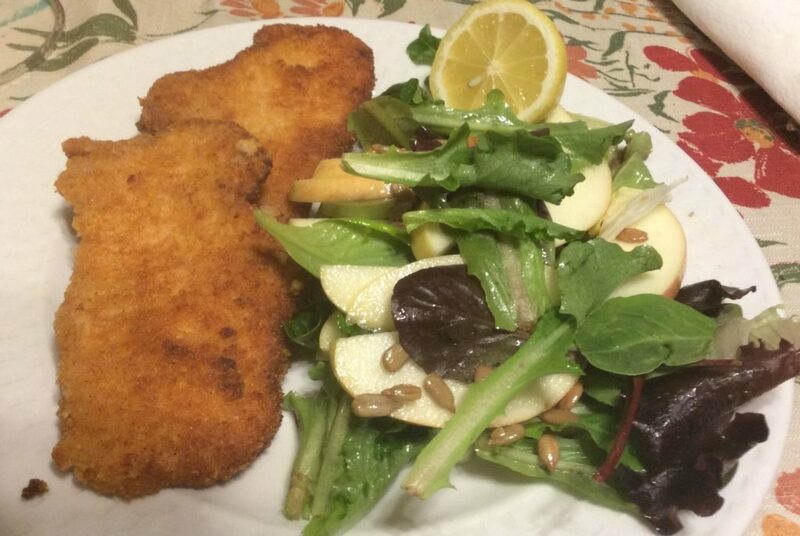 Pat dry chicken breasts and season with salt & pepper. Heat oil in a saute pan over medium heat. Add chicken breaths and cook until cooked through and golden, 3-6 minutes per side. Turn off heat, remove chicken and keep warm. Add the sour cream, chicken stock concentrate, dill, mustard and water to the saute pan and mix well, scraping up the brown bits on the pan. Serve chicken with sauce.